How well is your new dog going to adapt to your living conditions? If you're living in a house with a large, fenced yard this question might not worry you at all. But, what if you're living in a house with a small yard? Is that a good environment for all dogs? Today, we're letting you know what are the most adaptable dog breeds that have adequate energy levels and moderate exercise needs that a small yard will easily fulfill. 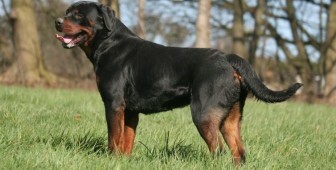 Picking a dog in a way that he would complement your living situation is a wise thing to do. Going for dogs that are too energetic and need wast spaces such as hunting, herding or working dogs might not be a great idea if you’re living in an apartment or in a house with a small yard. The consequences of poorly judging your conditions and your new dog’s requirements might result in a frustrated puppy, or in a damaged home/yard. We suppose you would rather avoid both of these things, right? So, if you’re a lucky owner of a house with a cute, small backyard and you’re looking forward to welcoming a new, cute pup in your life, then you’re at the right place. 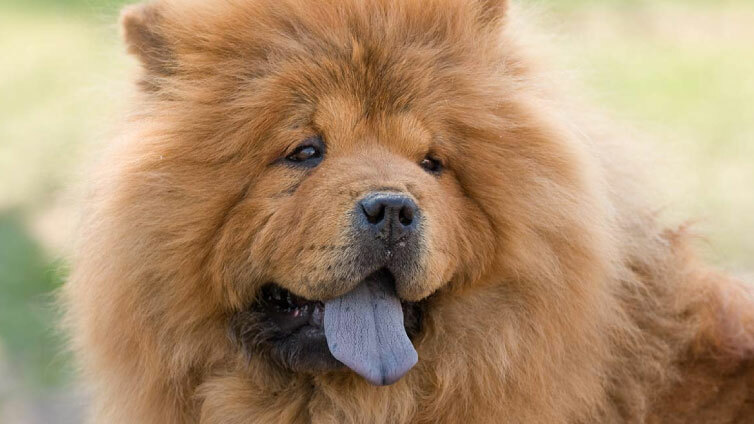 Today, we’re selecting top 10 dog breeds that are most suitable for small-yard living. 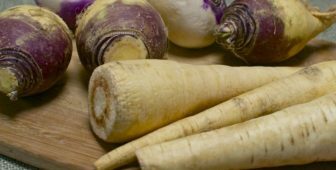 In order to select the best ones, we had to take several things into consideration, such as energy levels, exercise requirements, and the breed’s personality. What we came to conclude is that actually if your dog is big or small doesn’t matter a lot when choosing a pet that would enjoy your small yard. Some small dogs are extremely energetic and require a lot of exercise time, while some big dogs are quite easygoing and enjoy laying on the couch rather than running around their home. Here are some dogs that will suit your small yard perfectly! Let’s start! The French Bulldogs adapt amazingly to apartment living which makes them a perfect choice for homes with small yards. On the other hand, Frenchies are one of the “biggest” small-sized dogs that have lower energy levels and exercise needs. This is why a Frenchie will be perfectly satisfied with your small yard. You will most likely find him chilling in his favorite, comfy spot in the house. 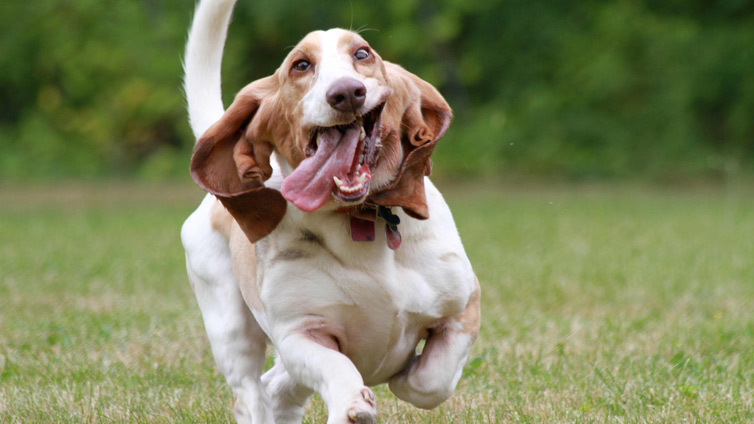 Although a Basset Hound is a medium-sized dog that looks like it might need a lot of outdoor space to run and exercise, these dogs are actually quite calm and very apartment-friendly. Needless to say, if you have a small yard, in addition, your Basset Hound will be the happiest pet out there. These sometimes sad-looking dogs love being cuddled and enjoy playing with their family members. 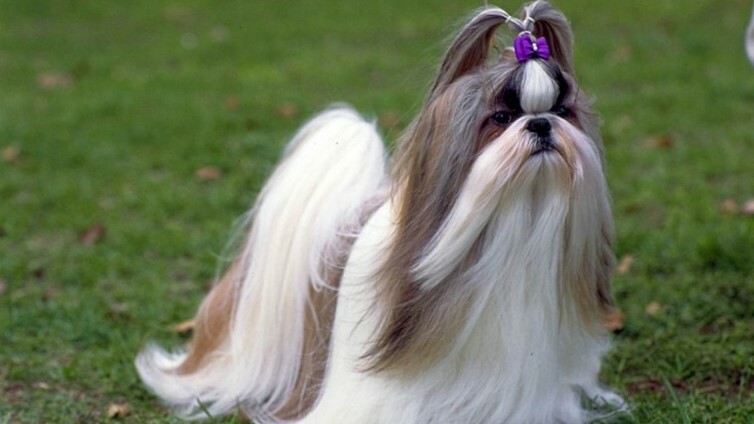 Maltese is a small sized dog and is famous for his minimally-shedding properties. 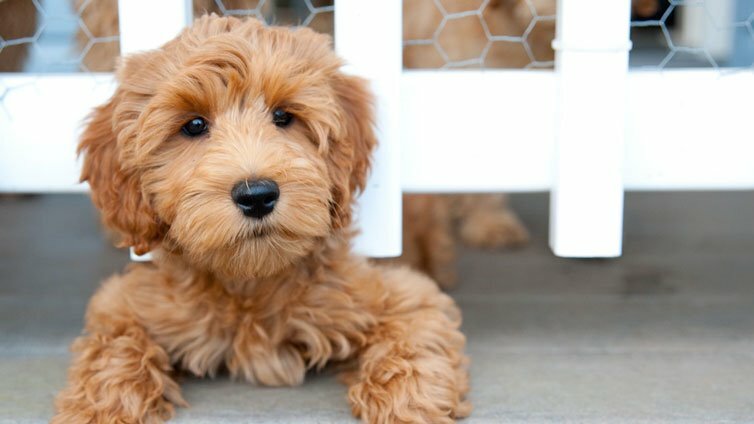 His coat is also considered to be hypoallergenic, which is why these cute pups are often chosen by people living in apartments. Maltese dogs are moderately active and might actually prefer staying indoors than running in the yard. However, they will definitely use up the space you give them and follow you wherever you go. This elegant dog was created to be a companion of noblewomen in the Middle Age-Italy. Despite being a hound dog, Italian Greyhounds can also be cuddly, lap dogs that will enjoy spending time with you in your couch. On the other hand, they will also love running and hunting small prey, which is why they will make great use of your small yard as well. 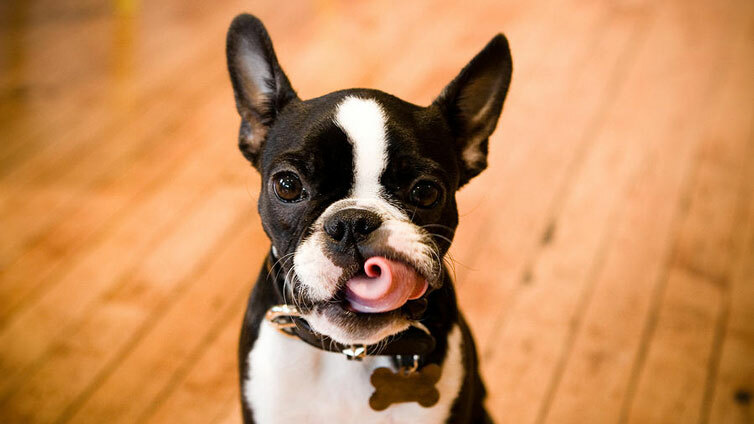 Another small dog breed that will enjoy having a small yard is the smart Boston Terrier. However, being so exceptionally adaptable to apartment living, they will equally be happy in your apartment. But this doesn’t mean these dogs don’t need some good exercise time. In fact, they are quite energetic and love running around just like any other Terrier. English Bulldogs are known to be real couch potatoes, which is why these dogs are often recommended to people with less active lifestyles. Just like their French cousins, they are easily adaptable to any size of living space and adore being with affectionate with their owners. Bulldogs are also great additions to families with kids as these dogs are extremely calm and friendly towards their human friends. If you have a small yard, it will definitely be a plus, but he won’t use it excessively unless you’re spending time there as well. Cavalier King Charles Spaniels are friendly dogs that are highly affectionate with their family members, as well as neighbors and other dogs. They are not only highly adaptable to living conditions in small spaces, but they are also quite calm and even-tempered. This small to medium sized dog breed has moderate energy levels and loves to spend his time outdoors too. However, thanks to his size, he will find your small yard more than enough. 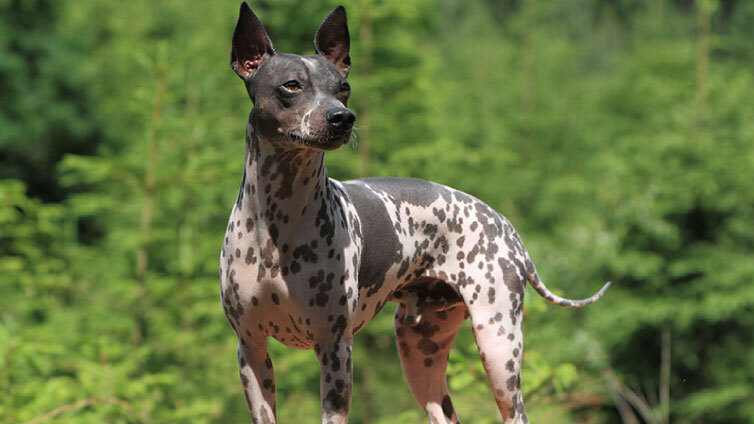 Chinese Crested dogs are not only specific for their appearance, but they also have quite a different temperament than most dogs. They are created to be a true human’s companion that will follow everything you do. If you lay in bed all day, they will do the same. Unlike regular dogs, Chinese Crested don’t have the desire to go out as much. However, they will surprise you with their athletic skills when needed. If you’re looking for an apartment adaptable breed that is friendly towards their family, Chinese Crested is the right choice for you. This crossbreed of Bulldogs and Mastiffs is known to be a laid-back, low energy dog that is highly adaptable to living in apartments. Despite being a large sized dog, Bullmastiffs actually don’t need a lot of space as you would initially believe they need. Make sure you still provide him with sufficient exercise, because they could easily gain weight due to their strong appetite and decreased energy levels. Yorkies are great dogs for apartment living because of multiple traits they have. First of all, their size is small and they are not barkers which makes them perfect little flatmates. They are quite friendly towards other pets and people, which will make them a great addition to just any family. Despite their tiny size, Yorkshire Terriers are highly energetic dogs that love being active. On the other hand, their mini dimensions will also make your small yard a perfect space for exercising they need on a daily basis. If you’re a fan of toy-sized dogs with soft fur and adorable looks then you might want to consider getting a Morkie too! Morkies are a crossbreed of Yorkshire Terriers and Maltese dogs. Sounds like the perfect small yard dog, right? Should I Get A Rhodesian Ridgeback? Learn how to eliminate over 30 common behavioral dog and puppy issues that we share with our private newsletter subscribers. Barking Royalty is great! I’m a recent dog-owner and it helped me SO much with the tips about my puppy! How Old Does A Dog Have To Be To Breed? Why Is My Dog’s Tail Hanging Down? How Cold Is Too Cold For Dogs? Can Dogs Eat Capsicum (Bell Peppers)? Puppy Breathing Fast While Sleeping – Should I Be Worried? And get exclusive dog and puppy trainings not found on the blog.